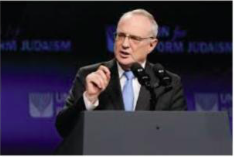 Rabbi Saperstein has been designated by Newsweek Magazine as the most influential rabbi in America and by the Washington Post as the “quintessential religious lobbyist on Capitol Hill.” From 2015 to 2017, he served as the United States Ambassador-At-Large for International Religious Freedom, the country’s chief diplomat on religious freedom issues. Rabbi Israel S. (Sy) Dresner was Temple Sha’arey Shalom’s first full-time rabbi. 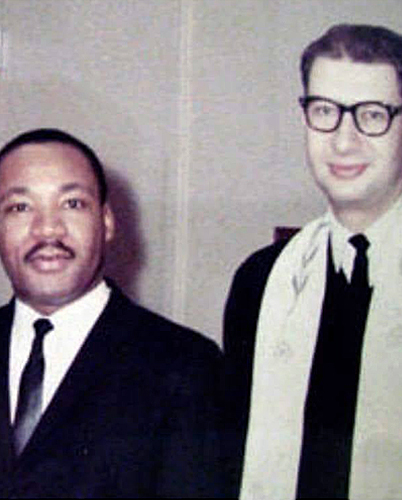 He was one of the most active Jewish religious leaders in America in the civil rights movement in the 1960s. He was once known as the Most Arrested Rabbi in America and continues to be known as the Most Jailed Rabbi in America. As a result of Rabbi Dresner’s close relationship with the late Rev. Dr. Martin Luther King, Dr. King spoke at Temple Sha’arey Shalom twice, in 1963 and 1966.